The food, however, is everything that you would normally recognise. There are dupiazas, tandoori specialties, pathis (sweet and sour) as well as names you recognise from the heat – vindaloo and jalfrezi. While pouring over the menu we had papadoms and pickles. They were really crispy which was a clear sign that they had not been prepared many hours before. We mention this as we have had too many home deliveries recently where the papadoms were dire – fishy and slightly limp. 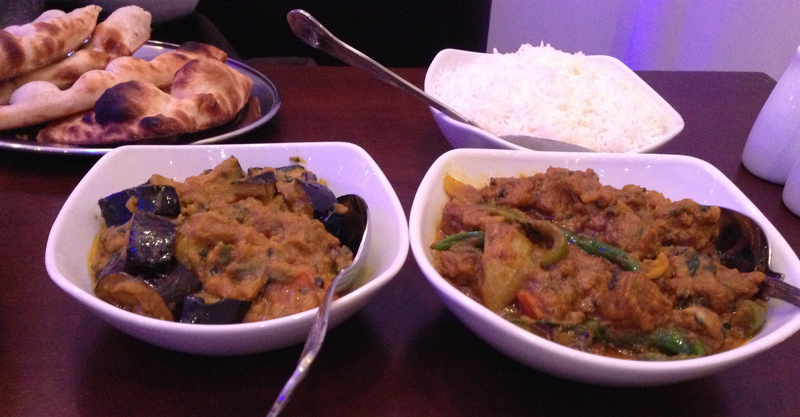 For our main courses we chose chicken korma, butter chicken, lamb jalfrezi and brinjai baji. For carbohydrate we had some plain rice and two naans – one plain and one peshwari. Two of the dishes were lovely but we were a bit disappointed with the butter chicken as the sauce was cloying with little flavour (where was the exotic seasoning they offered us from the menu?). It was chosen as a reminder of a restaurant where it was first eaten in Delhi and I suppose we would bound to be disappointed. The chicken was delicious though – with good seasoning. But we want to leave a mention for the best part of the meal – the bread. Although naans cool pretty quickly these were hot and crispy round the edges and the three of us loved them – well done with the tandoor oven. Water, a small Cobra beer and a salty lassi quenched our thirst although they do offer wine and we may go back just to taste the Mateus Rose which we haven’t had for decades. The total bill for three was £44.75 – so not cheap. They do takeaways with a 10% discount. There are now so many places to visit in Brixton but this is one that is open seven days a week and might well fill the gap on a Monday night, when it is harder to find anywhere to take your fancy. 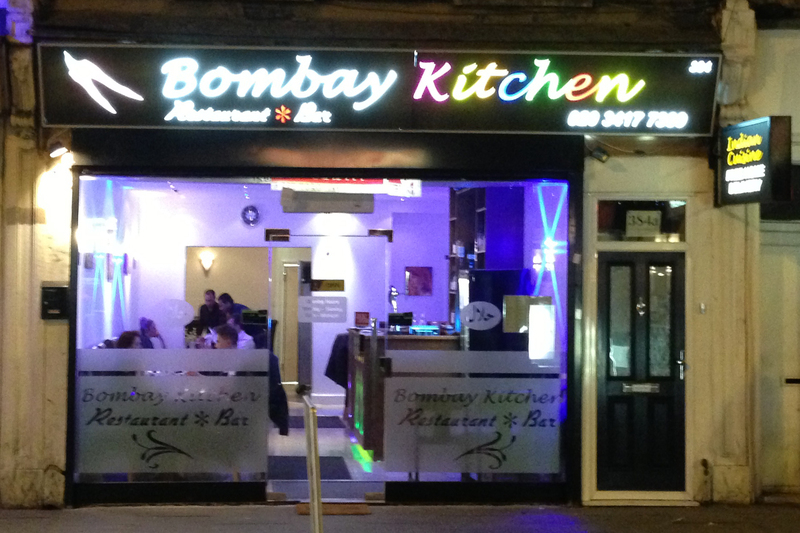 £44 is quite expensive fo3 people, especially when you can just head to Tooting for amazing Indian. Depends really, one could argue that it’s worth it if the food is good and you’re enjoying it with your friends. but it works out to about £14 with drinks so not overly expensive, could be lower, but a lower price may also mean you get lower quality of food for your price like you do in a few places around London. As long as the food here was very good then it could be worth paying for when you’re out treating friends.